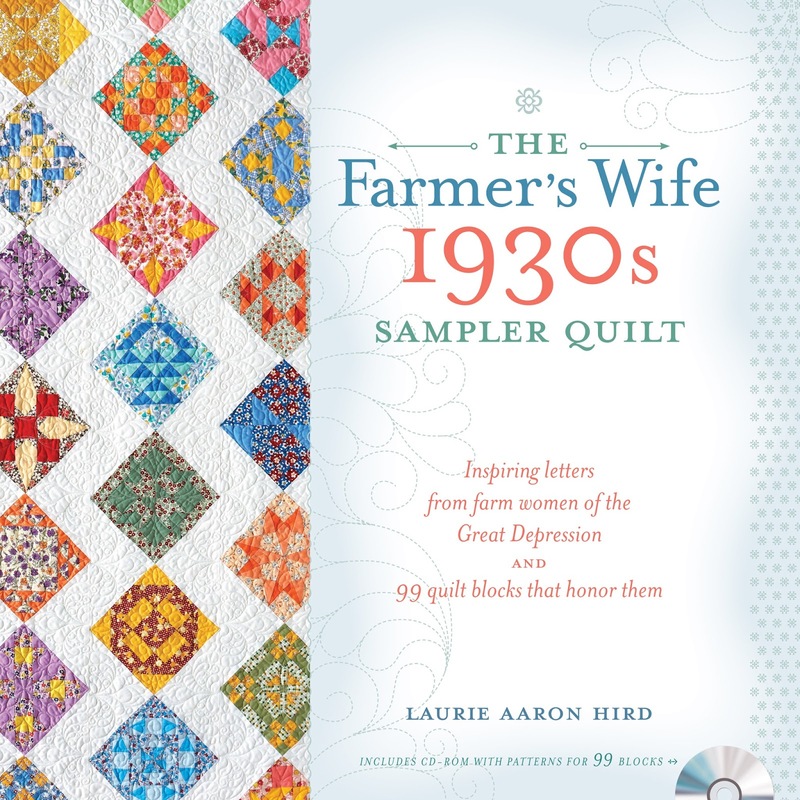 Hello, and welcome to Daydreams of Quilts for Block #88 – Rosemary – in The Farmer’s Wife 1930s quilt along hosted by Gnome Angel and sponsored by Fat Quarter Shop and Marti Mitchell. Block 88 Rosemary pieced by Daydreams of Quilts. Okay, so this block is a bit overwhelming when you first start looking at it – all those tiny pieces! I myself was feeling a bit overwhelmed. That’s okay. Feel a bit overwhelmed and even have a little freak out if you want to. Then, like all things in life, break it down into manageable steps and get to it. 🙂 In fact, I have broken it down into steps for you right here. So let’s sew! Begin by cutting all your pieces and lay them out according to the diagram in your book. Cut all the pieces for the block and lay them out. I found it helpful to use colors similar to the diagram in the book just to keep it straight in my head. I used a rotary cutter and layered my fabric to cut four pieces at a time. I used the paper templates from the book as a guide for cutting. Piece A triangles to the four patch G units. Press seam towards A. The photo below shows what you have after these two steps are complete. After step 2 and 3 are complete. Sew F triangle units to either side of G + A units. Press seams toward F units. After Step 4 is complete. For each of the four corners: Sew one E triangle to one D square. Sew one E triangle to one shape C. Press both towards E. See photo below. After step 5 is complete. It’s starting to look easier now. 🙂 Keep going. Sew D + E units to C + E units. Press seams open. Photo shows what you should have after Step 6. Group into three groups as shown to complete step 7. Sew the pieces together into three sections as arranged in the photo above. Press seams open. This is what the block looks like after Step 7. Just two more seams to complete the block! Sew the two side triangles to the center strip. Press seams open.